I agree with all the positive reviews of this book - the writing, narration, storyline, renditions of the power of community, and learning about survival in Alaska. But I can say that no other book has brought me as much pain as I this one did. Poisonwood Bible and Educated came close, but this was more than a page-turner and tale of abuse. As another reviewer noted, I could sense the potential train wreck coming. To myself I whispered, "please don't let this character ..." My wish was not accepted. If you're an empathetic person, this story can stab, repeatedly. 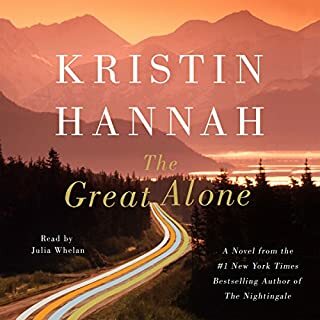 If you're considering reading this book, and you tend to immerse yourself in the experiences of the characters, I just want to warn you: Kristin Hannah is a brilliant writer, and she can be merciless. I read fiction for many reasons; confronting the worst of human nature as a book theme doesn't scare me away, but start this read understanding that senses of emotional assault might grab you along the way. Other reviewers have fully described the beauty and richness of this book and the expert narration. I have just finished, and it does and will continue to linger inside me. 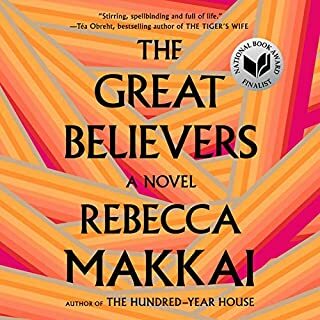 I have a question for other readers, however: Does anyone understand why this book is entitled The Great Believers? what does this refer to? I read this book because I recently heard David Leonhardt of the New York Times praise the author. Thank you David! A suspenseful, engaging, well-written, beautifully-narrated murder mystery and the widespread damage visited upon those directly affected by violent crime. NOT your normal, tired, semi-predictable plot-driven mystery. Two murders of children propel parallel narratives, one involving the central character many years earlier and the other a recent murder of a pre-pubescent girl with ballet dancing promise. Loved the full character development, even though the central figure, Ryan, repeatedly pisses off the reader (and his closest colleagues). The story is great, intricate, but the character development and relationships are the strength of this book. Intriguing psychopathology woven throughout both narratives. Great for patient readers who enjoy well-fleshed-out characters and slow plot development. 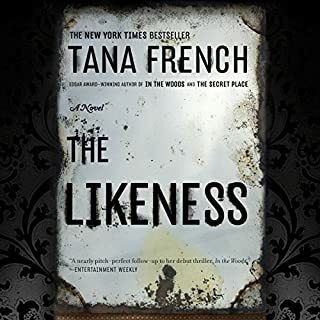 I'm now a Tana French fan planning to read the rest of her books through Audible. JoJo is the main character of this story, a teenage boy living with his unloving black mother, white dad (who is in and out of prison), sweet 2 year old sister, who is more like his own child than a sister, staunch and wise but dying grandmother, and mighty grandfather, a man of character bearing life's wisdom as well as scars from racist southern American practices. The story includes some supernatural appearances by an uncle killed by white racists, and a 13-year-old boy who was imprisoned while young with JoJo's grandfather. Beautiful lyrical writing in different voices, lovely imagery. The theme of "home" was central to the structure of the story. The different narrators/voices were great in this book - except for the mother, Leoni, who sounds altogether more soft and caring than her character suggests. There was also a disconnect between the woman Leoni became and the mothering she had received from "Mam," who is portrayed as a wise and loving woman at the end of her life. JoJo is a beacon absorbing life's lessons and, potentially, rising above the situation he's given, but he alone was not enough to give me satisfaction from reading the book. Except for Leoni, the authenticity of the characters is well-grounded in the the different narrators' stories. This is a book about strife, societal wrongs, racial injustice, family dys/function, the importance of a pivotal male role model (the grandfather), and good/bad choices, but ultimately the story didn't "take me anywhere" that offered hope or new understandings. Georgie McCool knows her marriage is in trouble. That it’s been in trouble for a long time. She still loves her husband, Neal, and Neal still loves her, deeply - but that almost seems beside the point now. Maybe that was always beside the point. Two days before they’re supposed to visit Neal’s family in Omaha for Christmas, Georgie tells Neal that she can’t go. She’s a TV writer, and something’s come up on her show; she has to stay in Los Angeles. She knows that Neal will be upset with her - Neal is always a little upset with Georgie - but she doesn’t expect to him to pack up the kids and go without her. I listened to this book all the way through, but it became a bit of a struggle. 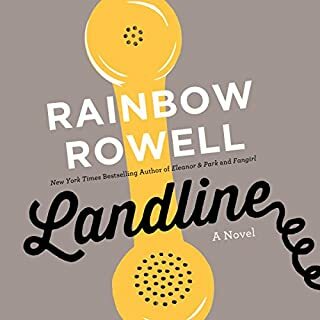 It primarily focuses on the main character, Georgie, who is worried that her awesome husband Neal (he was far and away the best character in the book) is drifting away from being married to her because she has a career (he doesn't, he's a stay-at-home Dad), Neal's day-to-day life is to take care of Georgie and their two girls, and she is not very appreciative of him and all his efforts (my opinion). Georgie is totally herself all the time and I found her personality to be somewhat off-putting - she's pretty much non-empathetic toward others. She unapologetically leaves her co-writer stranded without her while a career-making deadline comes due/overdue. Thus it was a bit hard to stay with her and have much sympathy through the many hours of her self-inflicted angst over Neal. I've read other Rowell stories, felt mediocre about them, and think this will be my last. I generally like "relationship" stories that are well-developed and filled with nuance (Jonathan Safran Foer comes to mind as a good model), but I really don't like some of Rowell's writing tics, such as repetitiously using the same greeting between people of, "hey;" response, "hey." Over and over again. In this book there's also "gawd" [god] strung out, and "Neal Neal Neal" repeatedly in Georgie's mental handwringing. It gets wearing. And, other characters in the story, such as Georgie's half-sister Heather, have potentially interesting storylines that are given short shrift, which I've found to be a shortcoming as well in other Rowell stories. A previous reviewer wrote, "It was simply a story of the life of different families and their struggles. ...," and this is accurate. If you don't like this kind of story, then don't choose to read the book. I live in Cleveland and know Shaker Heights extremely well. Ng describes the community, its well-planned layout, attractions, schools, local haunts, streets and shops, with verisimilitude. 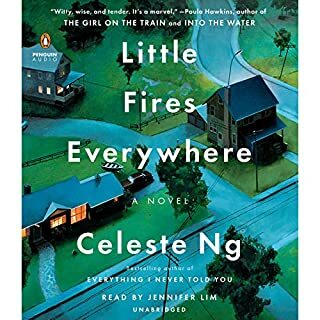 She doesn't fully capture the considerable diversity within its boundaries, perhaps because diversity has not changed its overall character, except by including supporting characters who are African- and Asian-Americans. I found this to be a low-profile and fair way to provide some hints that the town is not all lily-white. I totally enjoyed this story and couldn't wait to get back to it at the end of my day when I do my pleasure reading. Character development of the main figures, including teenagers, is reasonably strong and includes unveiling new information about many of them as the story develops. The book was not inspirational, dramatic, or earth-shaking but it is crafted well to keep readers who like understanding other people and their complicated identities interesting. Main themes are conventionality vs. idiosyncrasy, variations in life patterns and circumstances, the power of tribal assumptions, and instrumentality vs. compassion. As with her previous work, a Chinese character or two keeps ethnicity present in the story line. I liked this book much better than Everything I Never Told You - it is a more mature work, not trite, and the characters are more nuanced and believable. She didn't end this book or Everything I Never Told You with a "happy-ever-after" conclusion, but the reader does participate in the characters' self-development and deepening understanding of self and other. Disappointing. The young love relationship between E & P, while kind and caring and developing over time, was too vapid for me. Lots of teen talk on subjects they're interested in, but not very satisfying for me. The author's narrative, to build suspense, follows tricks like E not telling P about things that are happening to her, and I found much of that to be lame; or creating E's mother's character as someone so totally accepting of abuse of herself and her children that she wasn't believable. Also got very tired of E & P saying "Hey" to each other in greeting. This book could have had more substance and more character development than it did, so I felt it might have been a good start to a book but, as is, ultimately didn't interest me much. 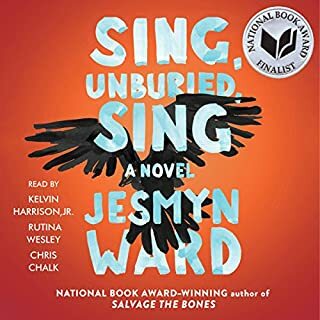 The two narrators were excellent; their separate voices added to the value of reading the book, but they alone couldn't carry an under-developed story. 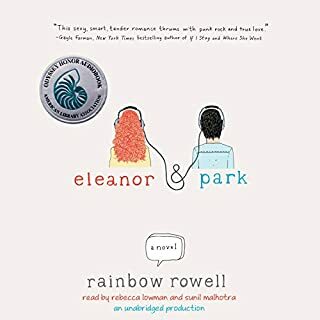 I'm planning to read one more Rainbow Rowell story and if it's not better than this, will put her aside as an author I seek out. If you like the academic world and the complexity of scholarly, political, historical, and social dynamics, this is a great read! 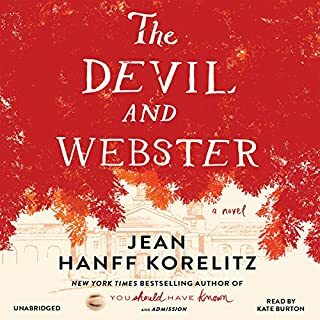 The narrator is supremely accomplished in her use of inflection as it informs the reader of the lead character's (the Webster College president) varying perspectives. Full of range and nuance. My only criticism of the story is the too-easily-passed-over reality of tenure decision confidentiality which, if fully highlighted by the college president, would have calmed the waters. Yet this flaw in plotting enables the unfolding of a dramatic story of campus life that would otherwise not have been told. What did you like best about Me Before You? What did you like least? Good insight into the "cage" a quadriplegic has to live in. I would have enjoyed this book much more had the lead character, Louisa, been a more substantial figure. It was impossible for me to respect or even like her because of her vacuity, i.e. no life goals, no higher education, minimal self-insight, no knowledge of really anything, lack of intellectual curiosity, fear of speaking of anything real (e.g. any emotion), poor understanding of other people, and profound absence of empathy. Even in her job taking care of Will, she lacked the motivation to read information about him and his condition. She often worried that she sounded or appeared stupid, and for good reason. Loved the English accents of the narrators. 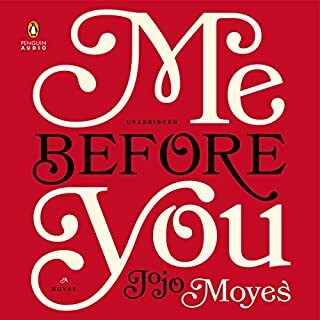 Do you think Me Before You needs a follow-up book? Why or why not? No. I wouldn't choose to read anything else that takes Louisa's point of view. She is just too boring.